As an agricultural company, part of our editorial calendar is telling the story of our products—seeds—and the people—farmers—who use them. From an editorial planning prospective, one of the great things about the growing season is that it’s predictable—plant the seed, grow it, harvest the crop. But there are several variables during those three stages that make the season different for each farmer. From a storytelling perspective, the variables can provide the tension that makes a story compelling. The stories and stunning visuals associated with farming make video an excellent storytelling device. Throughout 2016, Monsanto has visited farms, events, and even our campus beehives to experiment with Facebook Live and to tell the story of agriculture and how it’s connected to our lives. The live capability allows us to provide real-time updates to fans about our business and our customers’ business. For those of you dealing with a skeleton staff of camera crews and video editors and reviewers, you know that shooting, editing, reviewing, and posting a video can be a long process. Facebook Live provides the story right now. On the farm, particularly with weather events, it can take less than a day for the story to change. And let’s be honest: video just seems a lot cooler when you’re watching it live. Here are a few reasons we decided to try Facebook Live and a few tips to consider as you think about a strategy. Consider this: farmers are only two percent of the U.S. population. As President Dwight D. Eisenhower once said, “Farming looks mighty easy when your plow is a pencil, and you’re a thousand miles from the corn field.” That disconnect is still present 60 years later, as many of our Facebook fans—farmers, agriculturalists, scientists, employees, and students—struggle to connect the importance of agriculture and the science behind agriculture with urban and suburban audiences. As an agriculture company, we’re trying to help make better connections. One part of our content strategy is to be relevant in the agriculture and food conversations. To be relevant, you have to show up and create compelling content. So, one of our content goals is to share and create content that encourages people to learn more about the solutions that agriculture and Monsanto are working on. Facebook Live enables us to share real-time stories from the farm. It gives viewers a peak into what our customers are dealing with—a behind-the-scenes look where anything can happen and where high production elements are stripped away, creating an exciting, authentic experience for the viewer. When you get comments like, “This is super cool,” and “LOVE,” it means the content resonated with your fans. Why wouldn’t you do more content like that? In the era of social media, live video has a unique allure and gives users the opportunity to break news first. You’re more likely to stop on live content, right? You could be the first among your group of friends to experience it and share it. It’s a much different experience watching something live (and being first) versus something a day (or year) old and being the last to know. In fact, as we’ve done more live videos, we’ve come to realize the value of these lies in the real-time interaction with the audience. For a few of our videos, we have received more comments during the video than we receive on entire posts. People are genuinely curious about what we’re talking about, and we have an avenue for discussion among fans. It’s a great opportunity to obtain real-time feedback and understand your audience—like a live focus group. A lot has been written about brands as self-publishers. Live video is another tool in the toolbox for a brand to become a self-publisher of content. Our audience is looking for information to share with their urban and suburban networks to show that agriculture is cool. We don’t want to use too much jargon or inside-baseball examples. Our goal is to help our audience connect with consumers who most likely know very little about farming. Back at the farm on National Ag Day! Our business is seeds and helping farmers plant, grow, and harvest those seeds. We’re not going to go outside of that. There are plenty of interesting stories to be told in each stage of raising a crop. Practice what you’re going to talk about. You’ll lose viewers quickly is you’re stumbling through the video, but try to keep some spontaneity, or it will be boring. When I did our first two videos, it was selfie-style, which isn’t too terrible—it seems more authentic. (And it’s what you’d do for your personal channel, right?) Also, I’m close to the camera, and the sound is clear. But I was also squatting on the ground and trying to turn the camera and talk at the same time. This local farmer's wheat is at the "joint" stage. Watch to find out what that means. Now, we’re shipping 150 hats across the country to our fans. 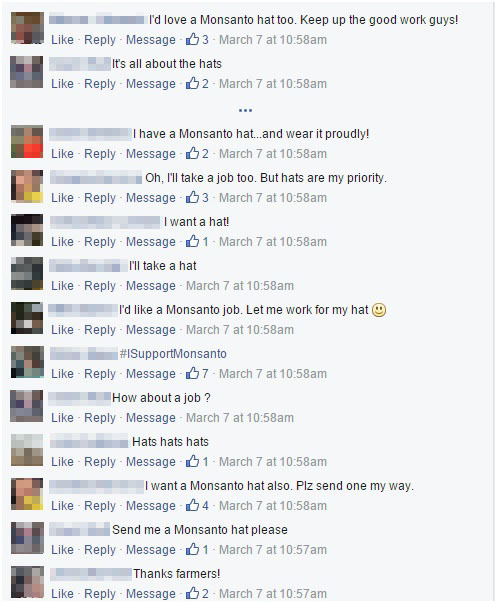 It’s rare that we get requests for swag on social media, but we’re honored our fans wanted to support Monsanto. That wasn’t in the budget, but now it is for next year! As with most new social media tools, experiment with live video before you fully dive into using it. 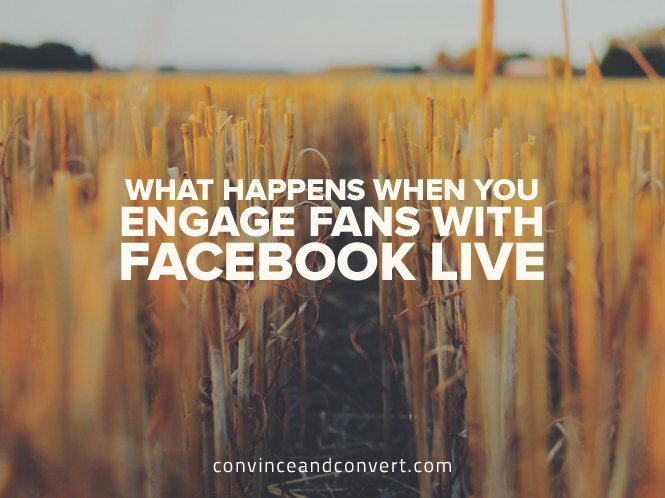 After three videos, we know we have something cool with Facebook Live and the farm visits—particularly with our Facebook audience of farmers and aggies. We’re planning on doing the “On the Farm” as a weekly segment. Grab the selfie stick, find something your audience cares about, and hit the road for some live videos! Nick Weber is the Global Social Media Strategy Lead at Monsanto, where he leads the company’s online efforts to interact with consumers and farmers. Prior to his career at Monsanto, Nick worked at Solae, a food ingredient company, and the National Corn Growers Association. He also is president of the St. Louis Agribusiness Club.